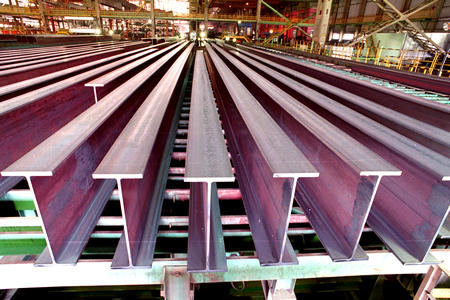 H beams JIS G3192 SS490 IPE HEA mainly used to construct mezzanines,platforms,bridges and common building constructions.SS490 I beams are strong used to creat large and spacious rooms with minimal suppor channels.JIS G3192 SS490 W shaped,wide flange beams are most commonly used in residential constructions.Xinsteel keeps thousands tons SS490 H beams,SS490 wide flanges,SS490 I beams with differnent dimensions for shipment sooner. Original certificates for each JIS G3192 SS490 steel beams can be tracking from producing mill.Xinsteel offer tracking pictures and videos for the whole stock steel beams delivey process including picking up from our stock warehouse,hard marking and print marking on steel beams surface checking,cutting,welding,primer painting,etc. TAGS: JIS G3192 SS490 H beams,SS490 I-Beams,SS490 wide flanges,H shaped Beams SS490,JIS G3192 SS490 I shaped beams,SS490 wide shaped beams,SS490 H beams stock,SS490 I beams stock,SS490 IPE steel stock,SS490 HEA steel stock,SS490 W beams stock,SS490 wide flanges stock. Add:No.88,Beihuan Road,Jinshui District,Zheng zhou City in Henan Province China.